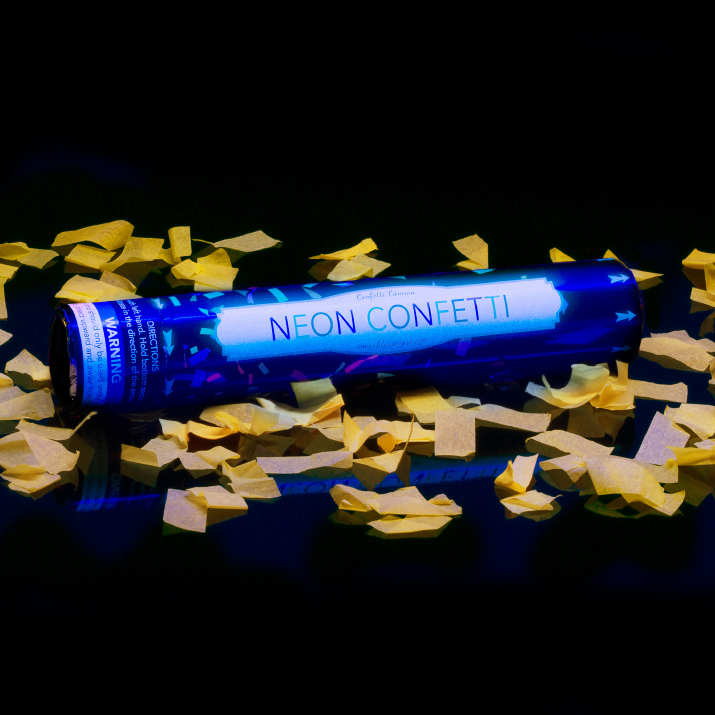 These Orange Neon compressed-air confetti cannons are a great item to add to any celebration.These are great for a black light themed party adding a fun glow. They are 12 inches long and 2 inches in diameter and the tissue paper is biodegradable! 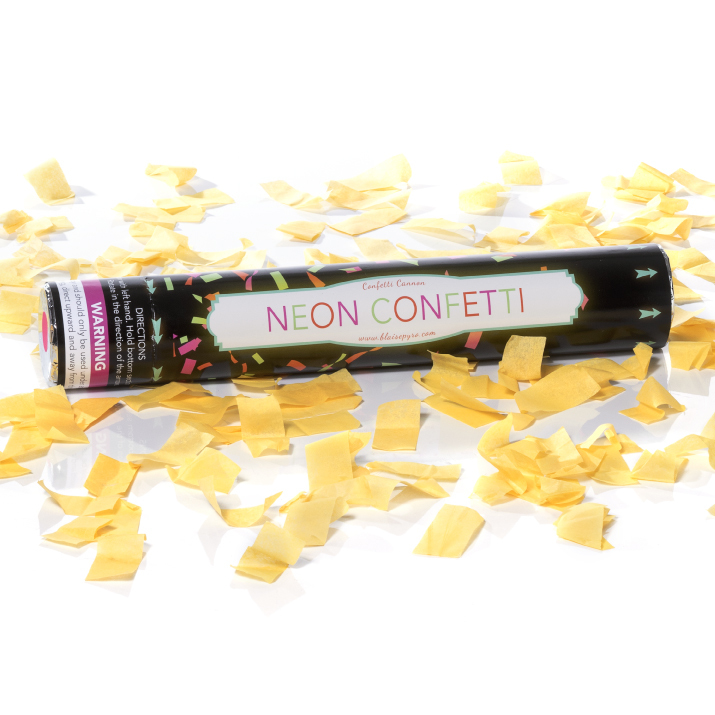 When using the confetti cannon, hold it with both hands and simply twist the bottom of the tube lightly and "boom" the confetti will shoot up to 20 feet into the air.These confetti poppers can be used indoor or outdoors, they are not pyrotechnic; these use a compressed air to shoot the confetti up into the air. 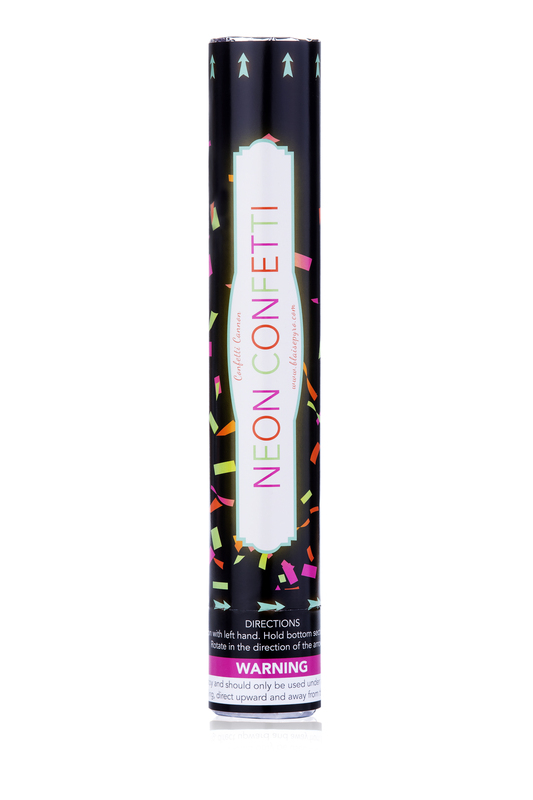 These confetti cannons do not cause any smoke or hot items that you have to deal with after they are used.